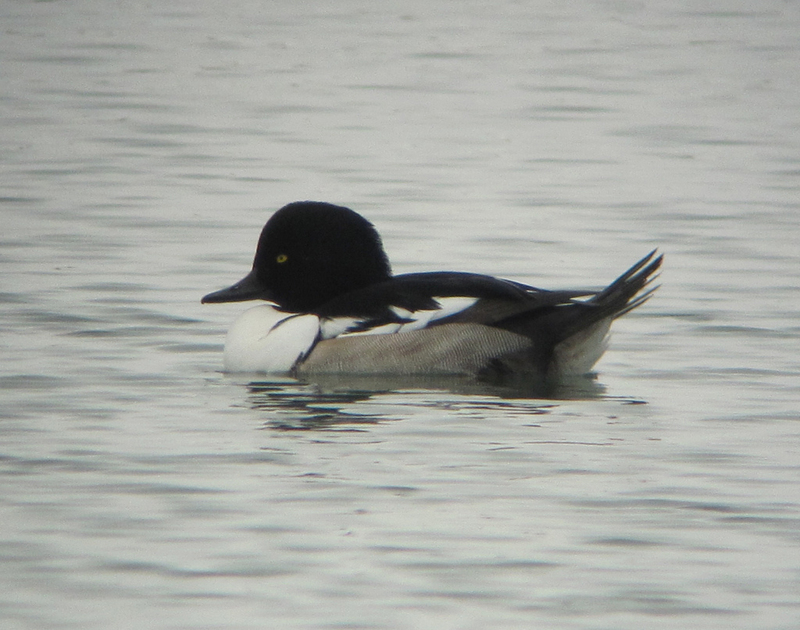 We’re excited to announce a new blog feature that highlights some of the previous month’s most interesting bird sightings as suggested by our experts. Here are five discoveries from February. A hybrid of these two species appeared in the Annisquam River in Gloucester. Bearing a mix of characteristics, it is an intriguing and very unusual duck; not only do its parents belong to different species, but they also belong to two different scientific genera. Previously suspected hybrids of these birds have occasionally appeared in other parts of the country, including New York and Minnesota. 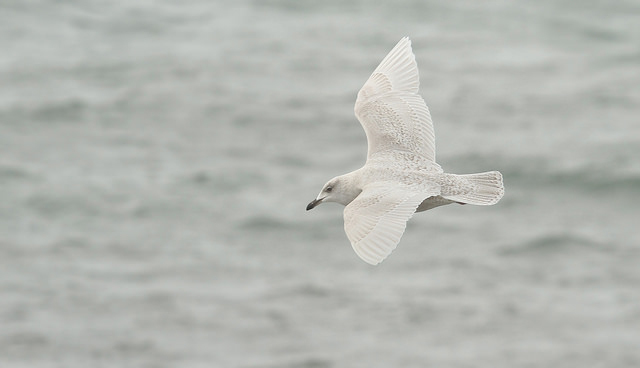 This pale gull with white wingtips breeds in the high Arctic and typically winters in small numbers along the Atlantic Coast of the United States as far south as the mid-Atlantic states. Birdwatchers noted a major influx of these birds following the severe cold spell in February. Frostier temperatures further north may have pushed somewhat greater numbers than usual into southern New England. For example, over 130 were tallied in one day in East Gloucester alone. 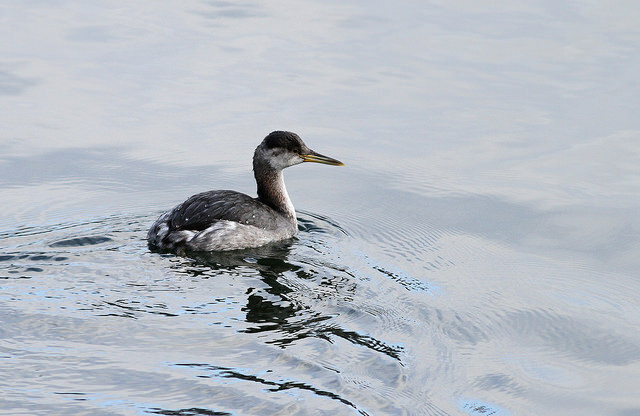 This medium-sized waterbird has a sharp, slender, yellowish beak and a white chin. It is seldom spotted inland during this season; recently, however, one was seen at Great Meadows National Wildlife Refuge in Concord. Cold temperatures are likely to blame for its presence here: the hapless bird was likely frozen out of a large inland water body such as one of the Great Lakes or Lake Champlain. This bird is smaller than our more familiar common loon, and in winter often displays a dark chinstrap, a more rounded head, and a sharper contrast between the dark sides of its neck and the white of its throat. This species breeds in the Arctic, and, true to its name, it is mostly seen on the Pacific Ocean. 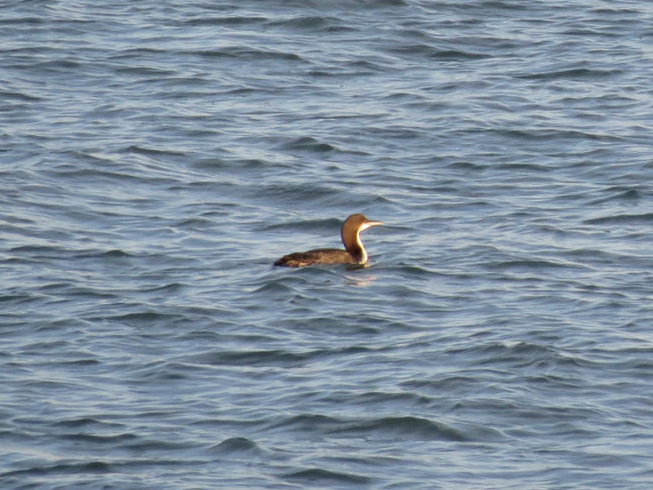 It is an unusual but not unheard-of visitor to the Massachusetts coast. This winter, one was spotted and photographed at Cathedral Ledge in Rockport. Pacific loon in Rockport © Flickr user Got Birds? Two waxwing species can be seen in the northeast: the smaller and more common cedar waxwing, which breeds in Massachusetts, and the larger Bohemian waxwing, which breeds in Canada and the northwestern US. 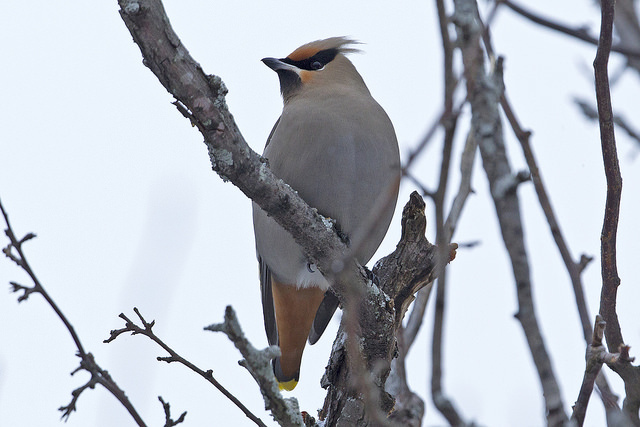 The Bohemian waxwing is an erratic winter visitor that only rarely appears in the Commonwealth. A small influx of Bohemian waxwings began taking place early in the month. Keep an eye out for a larger and grayer waxwing with rusty feathers under the tail amid flocks of the more common cedar waxwings. This entry was posted in Nature Notes and tagged bird sightings, birding, birds on March 4, 2015 by Rosemary. To me, the waxwings are the most regal of birds! I’ve never seen one in Nebraska or Florida or Virginia. I would love to someday! Your photos are glorious and show just how wonderful they are! Thank you!